The first month of the year has already flown by. We’re well into February, and if you’re anything like us, then thoughts of summer and travel are coming to mind. 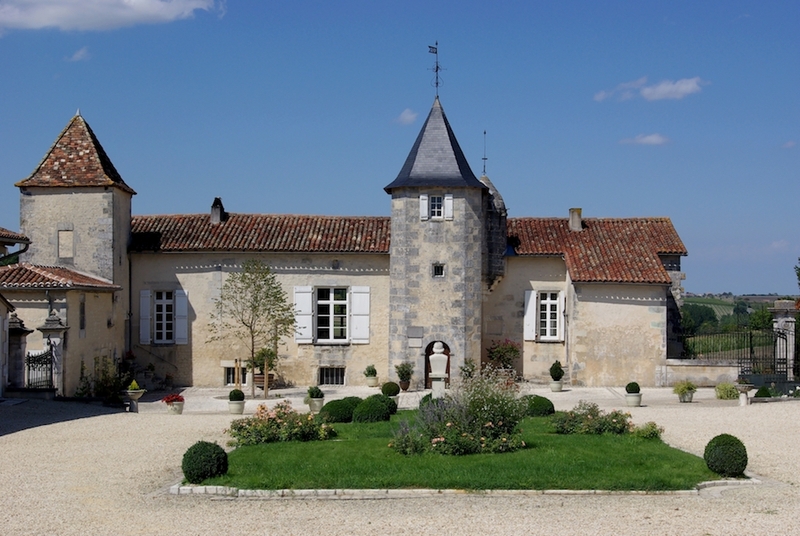 Why not plan a trip to the Charente, the French Cognac region? It’s an undiscovered, non-touristy, stunning part of South West France. You can visit the most amazing Cognac gems, unknown little producers, and other incredible sights. Enjoy amazing food, drink the best wine, and sample the most diverse range of Cognac you’ve ever seen. So with this in mind, we’d like to share with you some of our favorite secret, and not so secret, places that you might consider visiting. After all, we all know that some of the best places are the one’s you don’t find in guide books. We’re proud of our home, and delighted to be able to let yo know about some gems that we’ve discovered over the years. Many are Cognac related, others simply gorgeous destinations that highlight why so many people travel from all corners of the globe to experience this magical region. Welcome to Sophie & Max’s tourism gems off the beaten track. We really hope you enjoy them as much as we do. The house of Birius Cognac is a wonderful one to visit. And we highly recommend that on your visit to the region you do sample both the delights of a small, artisan house, as well as one of the ‘Big 4’. Birius is a true family concern, today Elodie Bouyer–only in her twenties–is following in her parents footsteps and taking over the helm of the house. The house is located about 20 kilometers from the town of Cognac. Expect a really personal experience, where you can wander in the vineyards, discover more about the whole Cognac production process, and of course browse and taste some of their wares. One special reason to visit Birius Cognac is that Elodie’s grandfather, Jack, was a sculpture. And his speciality was to carve faces of the famous (and not so famous) people of the region into limestone. Some of these are displayed in the gardens here, and really are amazing works of art. Discover more about the unique Birius Cognac. Visits to the house are free, and include both a tour and tastings. However, as with all smaller houses, we do recommend contacting the house first to let them know your coming. Check out the Birius Cognac website for more details. 2. 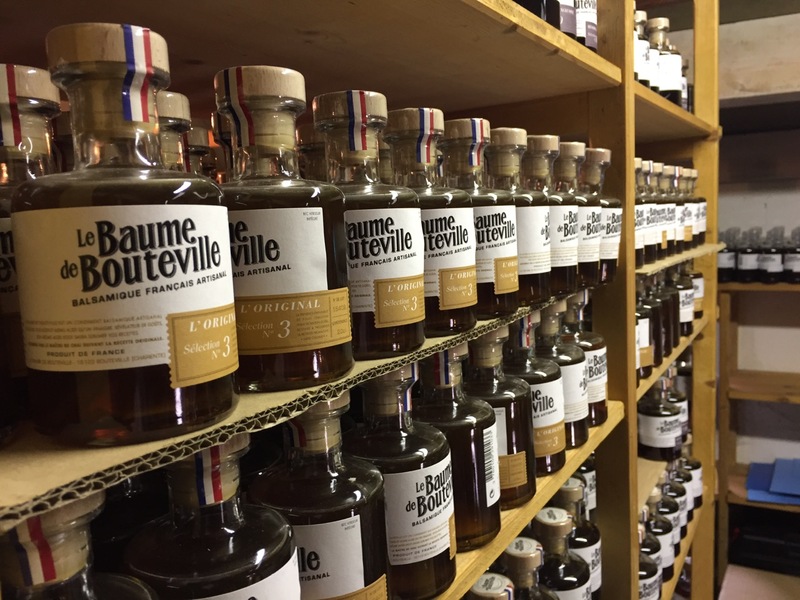 Bouteville & Balsamic Vinegar from Cognac! The beautiful village of Bouteville is located in the premier cru of the region, rane Champagne. Although tine, with only 353 residents. Bouteville is well worth making the time to visit, especially to explore the castle, which overlooks from its hilltop location. If you come in high season, July and August, every Wednesday you can join a guided tour of the castle at 16:00 hours. This is a wonderful experience, and one we’d highly recommend. And for something completely different, we recommend combining a visit here to a place we’ll bet you’ve never heard of. And that is Le Baume de Bouteville Vinegar. This is an artisan balsamic vinegar producer who create their product from aged Ugni Blanc grapes, in a manner very similar to Cognac. It’s a fascinating process, and one that tastes pretty delicious as well. 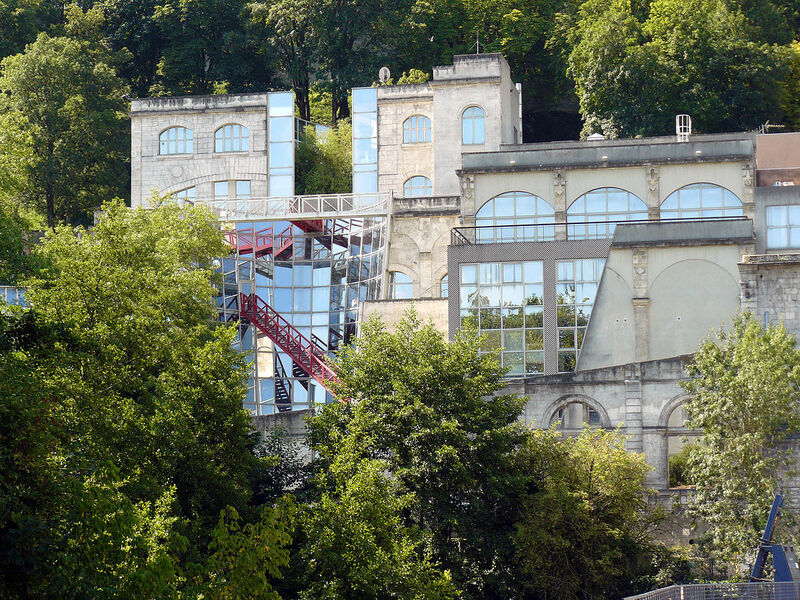 Discover more in our article that tells all about Max’s visit to this unique property. When in Bouteville, you are in the heart of the Grande Champagne growth area. The family run house of Daniel Bouju Cognac is delightful to visit (call in advance) and well worth a few hours of your time. 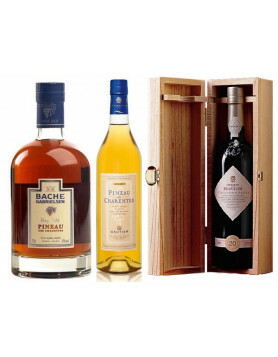 Their artisanal Cognacs are outstanding and offer extremely good value for money. 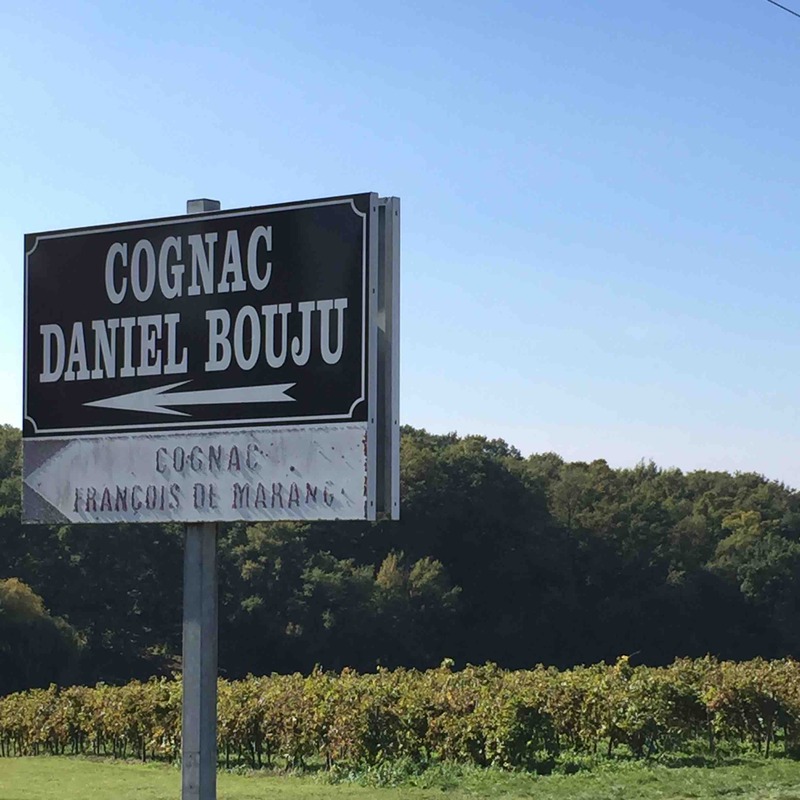 Find out all you need to know about Daniel Bouju Cognac. Especially take a look at the Brut de Fut Cognac by Bouju, strong cask level. The museum of the comic strip is located in the city of Angouleme. If comics are your thing, then this is one of the main international references in the field, and a definite must-visit for fans. The museum is housed in three beautiful buildings that are well worth seeing in their own right. Located on the banks of the Charente River, it’s also worth a visit to the panoramic restaurant for light refreshments too. Whenever you visit, it won’t break the bank. The tariff for adults is 7 euros, 3 euros for children aged 10-18, and free for those under the age of 10. And, apart from in July and August, the first Sunday in each month is free to visit. Discover more at the Musee de la Bande Dessine website. Martell: One of the largest of all the Cognac houses, and the oldest of the ‘Big 4, the famous Chateau Chanteloup will leave a lasting impression on all who visit. Now here is the weird thing: The Chateau itself is somehow surprising because it actually looks, no it IS, a castle you would normally only find in Normandy. The architecture of this building isn’t Charentais at all. Fun. Martell offer a selection of different tours, ranging from 14 euros, which includes a tour, a taste of their classic VSOP Cognac and a traditional French pastry, different tasting tours with appetizers, right through to The Martell Tasting Experience tour where you get to blend your own Cognac. When Max first visited the Château some years ago he was one of the first to taste the brand‘s new product Chanteloup Perspective, an absolutely spectacular and elegant Cognac that that references this manor. 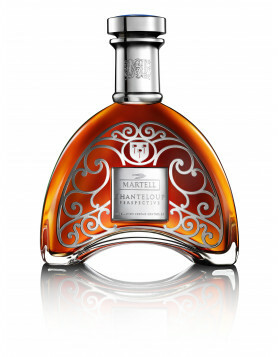 Find out more about the house of Martell and read Max’ article about 300 Years Of Martell. The second largest city in the Charente Maritime, Saintes offers a great opportunity to see ruins and architecture that date back through the ages to Roman times. It’s a great place to do a walking tour, with some of the highlights including the Roman Arch de Germanicus, the Archaeological Museum, the 12th century Church of Saint Pallais, and the 11th century Abbay aux Dames. There’s also a stunning Gallo-Roman amphitheatre. It’s a market lover’s paradise, with various different ones each day of the week. Saturday morning is the largest. But on the first Monday of every month the city plays host to a ‘foire’, or fair, with stalls of all kinds stretching along the wide streets. Many overlook a visit to Saintes on their trip, but if you get the time, it really is worth a day of your time. Discover more about Saintes and the Santoinge. 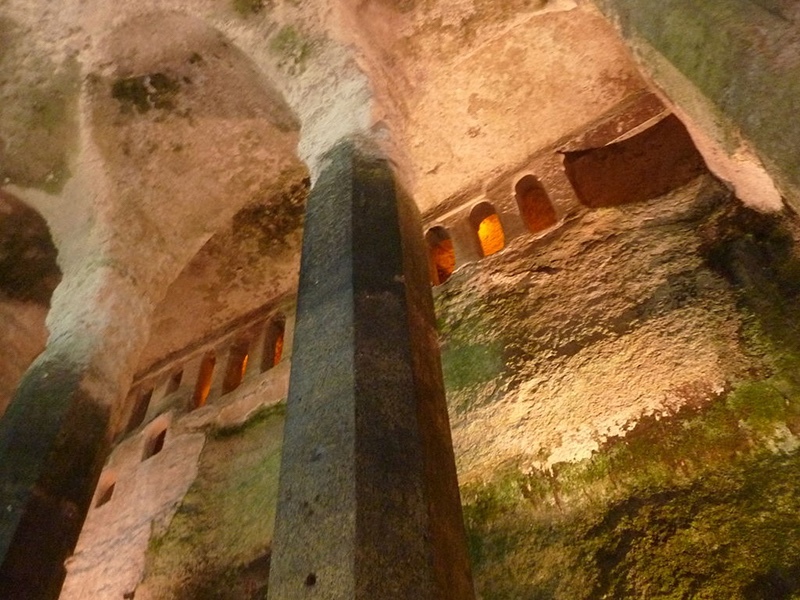 Officially listed as ‘one of the most beautiful villages in all of France’, Aubeterre-sure-Drone is perhaps most famous for its wonderful monolithic church. This village was built on the site of a 16th century battle field, and is also a stop along the famous pilgrim rout of Saint Jacques de Compostella. We have to say, this place is stunning; and you can easily spend a day here getting lost in the winding streets, taking photos of the quintessentially French houses, and of course, whiling away a few hours over coffee and croissants in one of the many terraced cafes. Discover more about the delightful village of Aubeterre-sur-Dronne. 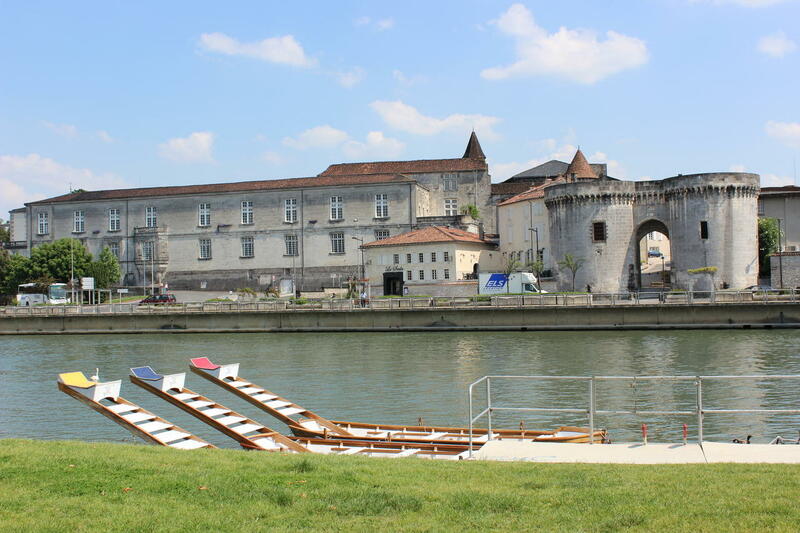 A trip to the castle of Baron Otard Cognac combines a visit to a chateau with the delights of Cognac tasting. If you have the time, take advantage of one of the gold standard tours, such as the ‘Royal’, where you get to discover King Francois the First’s private apartments, and end with a tasting of four different Cognacs. Or perhaps the ‘History where you not only get a guided presentation of some amazing archive documents and Cognac tasting, but some delicious XO chocolates, made in collaboration with the house and a local artisan chocolatier. 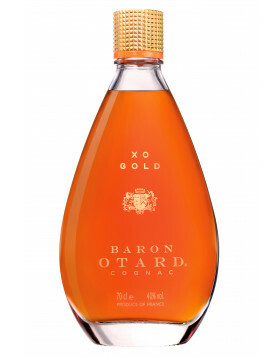 Discover more about Baron Otard Cognac, and browse some of the excellent wares in our online shop, such as Baron Otard Extra 1975 Cognac and Baron Otard XO Gold Extra Old. And be sure to read our article that showcases our visit here, and why we highly recommend it as a wonderful place to explore. 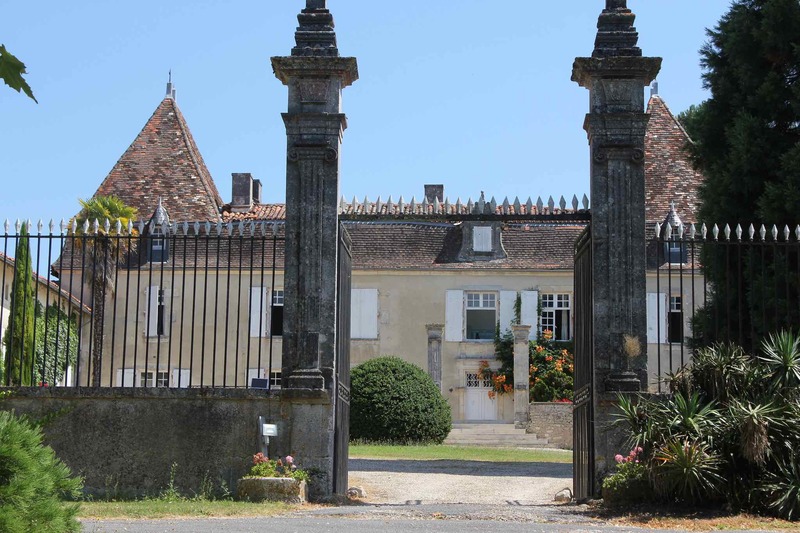 This is another smaller artisan Cognac house that is well worth a visit. The location was once the home of the famous French playwright, novelist, and poet, Alfred de Vigny. A trip here is a delight for anyone who enjoys French history. The estate itself is stunning, and you can expect a truly personal experience. As with all the smaller houses, for the best visit we always recommend a call or email to let them know you’re intending to come. Find out more about the house of Maine Giraud Cognac. Looking for the perfect place to stay? Well, why not come and stay with us, at Cognac Expert? We offer accommodation in our Chateau, and we’d be delighted to have you. Our home was built in the 17th century, and during your stay you have access to all of our large estate. Wander through the woods, fields, and meadows, watch the mist rise over one of the three lakes in the early morning-or row out on the water, swim in the infinity pool, and most of all, enjoy the peace and tranquillity that makes this a place to enjoy nature, contemplate, and truly unwind. We can offer accommodation for couples or larger groups up to ten people, we have four different rentals available on our estate. 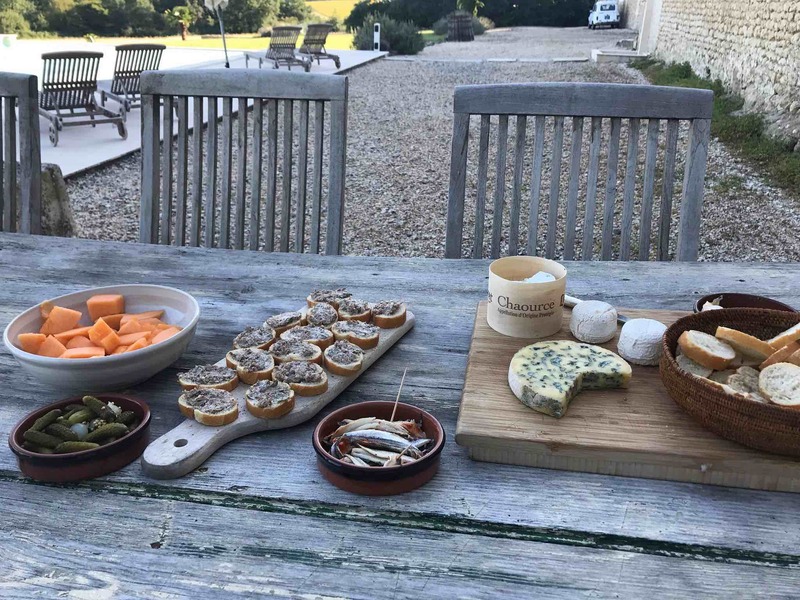 The Château Logis de Beaulieu for 8 persons, the Grand Gîte for 6 persons, the farm Saint Germain in the valley for up to 4 persons and of course our small Gîte rental for 2-3 persons. Spend time with us (or not–it’s your vacation), and discover more about the region and the delights of this wonderful region. Also of course, it’s the place where Sophie & Max created their own, very first XO Limited Edition Séléction N°1. If you’ve ever wondered where the beautiful people of Paris like to spend their off time, then look no further. Because the Atlantic Coast location of Ile de Ré has something to suit everyone. Seafood, naturally, is a highlight here; especially the oysters! And if you’d like to know exactly what Cognacs will pair beautifully with some of the best fish on the planet, then read more in our article on seafood and Cognac pairing. Think long golden beaches, rural cycle tracks, amazing food and wines, not to mention being one of the sunniest places in France, and you’ve got a perfect holiday destination. Our top tip is to visit outside of peak season (July and August). If you can get there in September you’ll benefit from everything still being open, minus the crowds from Northern France. Imagine stunning landscape of the Cote d’Azur, minus the crazy price tags and associated finery, and you have Ile de Ré. The lovely town of Jarnac has a lot to offer the visitor, one of the most delightful being the Truffle Market. This takes place every Tuesday, but you’ll need to be on the ball. It’s officially open from 09:30 to 11:00, but in reality, by 10:00 its all over. So if you want to take place in a unique, typically French occurance, you need to get there on time. Jarnac is also the birthplace of previous French president, Francois Mitterrand. Visit his house, and learn more about the man who led the country from 1981 to 1995. 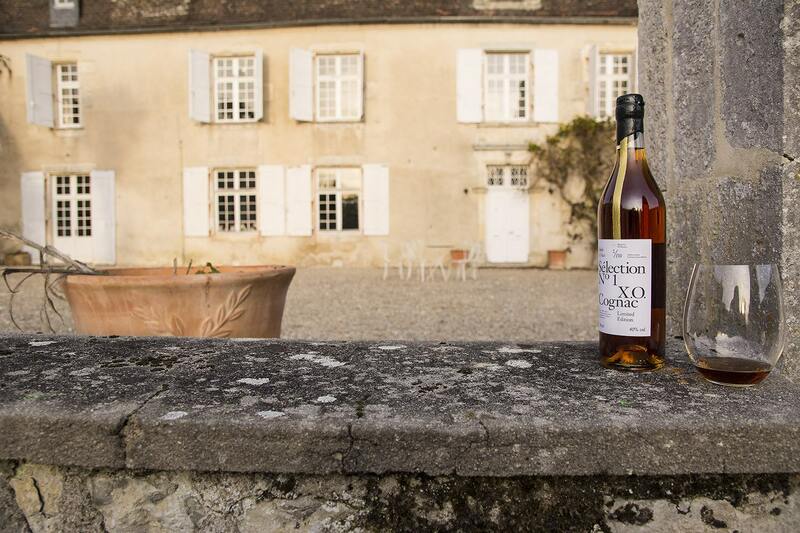 Of course, there are many, many Cognac houses you can visit during your stay. Check out our article on ‘free versus paid‘ tours for more of an insight, and some further recommendations. Whatever you get up to during your stay in this wonderful part of the world, you’ll be sure to have a ball. If you visit, let us know your favorites, or if you have any you think we should add to the list. Your articles are well written and very informative, I read them all. Keep up the good work. I have a question about Le Logis de Beaulieu. Is there a Gite, cottage or house that will hold 25 adults and 7 children ( 32 people) for around 3 days? ?